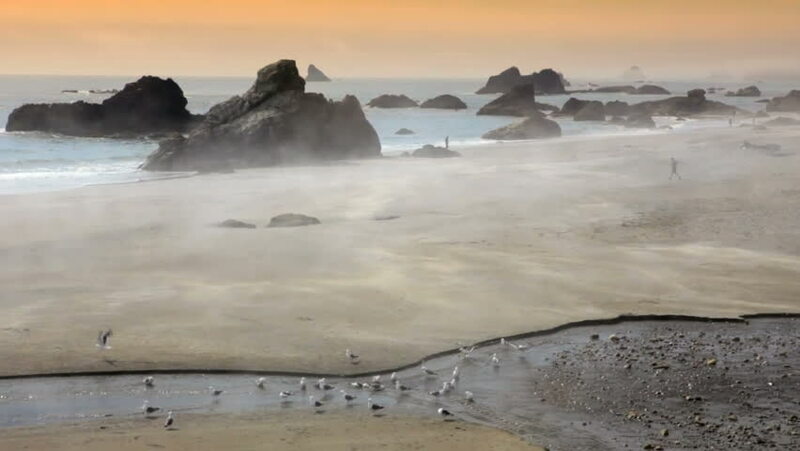 Oregon coast, Harris Beach, fog rolling in on a summer day, includes high quality audio. hd00:10Glacier on the coast in the background of water of Arctic Ocean in Svalbard. Wildlife in Nordic badlands. Unique footage on background natural landscape and snow of Spitsbergen.